Ibrox Noise: Are Rangers under a dangerous and unexpected threat? Are Rangers under a dangerous and unexpected threat? There comes a point in a season where Rangers, Celtic, and these days Aberdeen have to open their eyes and start to accept that another team’s good form isn’t a flash in the pan, but is in fact that team’s actual ability and that they may have become serious contenders for the top of the table. Are Kilmarnock serious challengers for the title this season? It would be absolute arrogance to say no – we’re deep now into January and they are justifiably in second place, having lost only four matches all season, the same as both Rangers and Celtic. 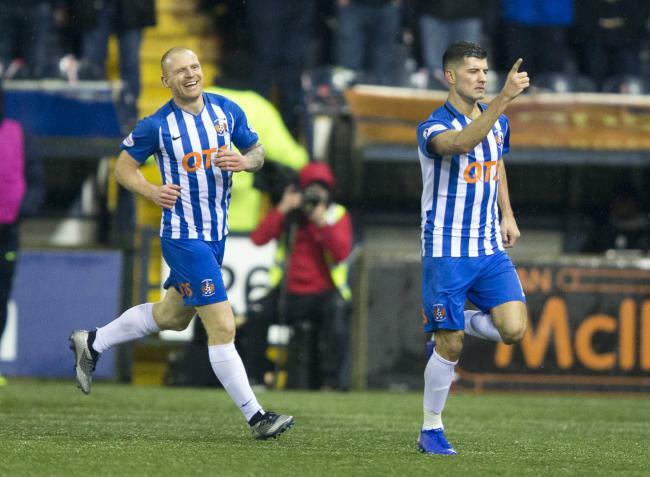 Naturally it’s premature to say anything about their chances – but at what point does a Kilmarnock shifting around the top three and consistently remaining a contender change from being a team who just keep on hanging around to a team who could do a ‘Leicester’? Claudio Ranieri’s side was a relegation candidate, just like Lee McCulloch’s Killie, and the Italian took them to the title against Man City, Chelsea, Utd, Arsenal – it was no more or less likely than Killie beating both Rangers and Celtic to the prize. This stuff does happen, and God forbid any Rangers, Celtic or even Aberdeen fan who dismisses Killie and their pies as a title contender ‘just because they’re Killie’. Steve Clarke has worked astonishing wonders with the Rugby Park team, and their away record is extremely impressive as well – he might not play the most stunning football but by God it’s effective and his players run through brick walls for him. Are Killie really dark horses for the title? Yes, they are. Will they win it? Crazier things have happened in football and they’re proving themselves time and time again. This title race is shaping up as one of the best we’ve had in a long long time. Of course they can. But I would go even further and say if Rangers don't get a result against Livingstone they can forget it. All things considered including cash, players, facilities Steve Clarke's tactics and drill is far ahead of anyone else in the league at this time. If Kilmarnock get a good run with few injuries they can decide which team does win the League. He seems to have a settled team with few personnel or tactical changes. Steve Gerrard are you listening. When you're manager is Steve Clarke you always have a chance. Easily the best manager in Scotland. Time and time again his tactical ability shows the rest how it's done. And that's with a team whos tactics against the big clubs have to be about defending first and foremost. Imagine what he would do with the Rangers or Septic squad,budget and academy at his disposal..
Let's end the pain now. Rangers will not win the league this season. I've never thought for a moment that we would. Nor will Kilmarnock. I'm a realist. We are building and not yet ready to win the league. It gives me no pleasure to say it and I'd happily be proved wrong but it's the truth. Let's not get too carried away James. Kilmarnock are a distinctly average team who are superbly drilled by an outstanding manager. They are a great example of getting the most out of average players but they are not a great team. They hardly laid a glove on us last night other than the 2 goals that we gifted them. Killie could won the league if they could believe in themselves. Steve Clarke is a manager I rate very highly and although hes reportedly a fan of the manky mob I would love for him to be given a chance at the famous. I'v always been a big fan of stevie g and supporter of his. He knows how to get the players to win in games when teams attack however thus far he can't seem to find the answers for teams that park the bus. Steve Davis and defoe aren't the answer against these sort of teams. He needs to get in a guy that can spot the killer pass that sadly no one in the current side can. As much as I love the work rate and commitment of arfield he just can't seem to break these defences with a killer pass. Throwing balls into the box from the wings isn't the answer. I don't think we'll win the title this year. There's just too many things wrong with the team. Love it if we do of course but it's unlikely. I don't think anyone can deny the job that Clarke has done at Killie. But there's a glass ceiling at that club. And there's only so far he can take them. And it's not to the title. He has certainly got himself noticed though. And there are bigger and better jobs ahead for him. I hear the bricks are being set in place for him to replace Rodgers in the summer.